Performing an asphalt overlay, a grind and cap overlay, or when resurfacing your road, specifications are a critical difference between contractors. We don’t skimp when it comes to how much asphalt is installed. Our estimates state exactly what thickness of asphalt we will lay down on your job. 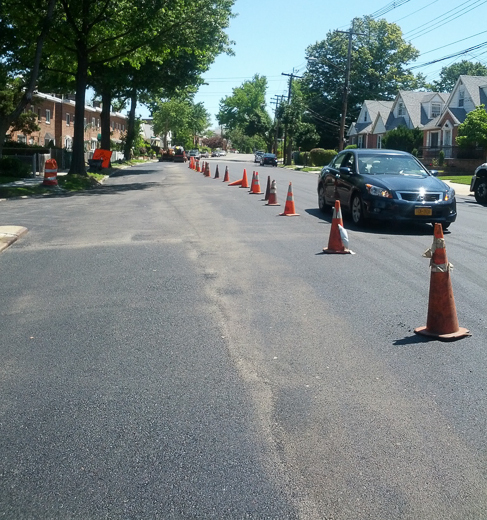 Some paving contractors in Bergen and Essex counties claim they install asphalt for less cost than us, usually it means the other contractor is playing games with the amount of material actually installed. If a contractor is coming in well below the others its more than likely they are shorting the job somewhere.